Instagram. If you’re over 30, and I am, it’s an anomaly. As a teenager in the 1970’s, popularity was assessed based on the number of carnations you received on Valentine’s Day during classes. Now, it’s the number of public “likes” that can truly make or break you in high school. Director Jonathan Ignatius Green followed three teens; an aspiring photographer in New York City, a Midwestern girl from Central Ohio, and a wealthy entrepreneur near Malibu, California. The three are very different teens, but they all experience the emotional costs, both positive and negative of the impact of the social media platform of Instagram. Green introduces us to Humza, a kid from the inner city of N.Y. who develops an eye for photographs taken from forbidden vantage points. Humza’s popularity blows up, but just at the peak of his popularity, he is vilified for revealing a subculture within the city. Green interviews Humza before, during, and after his Instagram “success,” giving the viewers a keen insight to Humza’s rather mature and very candid expression of social media consequences. Interwoven into Humza’s story, Green expertly incorporates Kaylyn’s unusual panache for engaging viewers with her style and look which eventually leads to greater opportunities. Although, fame does have its drawbacks for her and her family, we are privy to the emotions at the time. Matching Humza and Kaylyn’s story arc, we see that Green couldn’t have chosen a better representation for middle America than a small town near Cincinnati, Ohio with Emma who pays an ever greater emotional price as a negative spin is thrust upon her perceived persona. The pressure these kids feel is obvious, determining, in many instances, whether a teen has a sense of self-worth. In fact, as the film reveals, purchasing “likes” and “followers” is also a technique used to increase their reputation as someone worthy of knowing. As crazy as this might sound to someone outside of the Instagram realm, it’s a heady and real situation for kids, not to mention emotionally and financially costly. Green tells each of these teens’ stories from beginning to end, allowing the viewer to walk in their shoes. His ability to ask the right questions and create a trusting atmosphere for each subject to feel comfortable gives the film integrity and honesty. These elements connect us to Humza, Kaylyn, and Emma as we watch them rise and fall and then hopefully find the strength to rise again. Following these “kids” as well as having interviews with parents and other kids over the course of two years, Green allows you, the viewer, to arrive at your own conclusions about the impact of social media as he always takes the position of neutral observer, allowing the story to unfold naturally and honestly. Initially, my hopes for the film were to be in some way to denounce social media platforms, justifying my inabilities to somehow master the medium, but Green doesn’t place a judgment upon it. 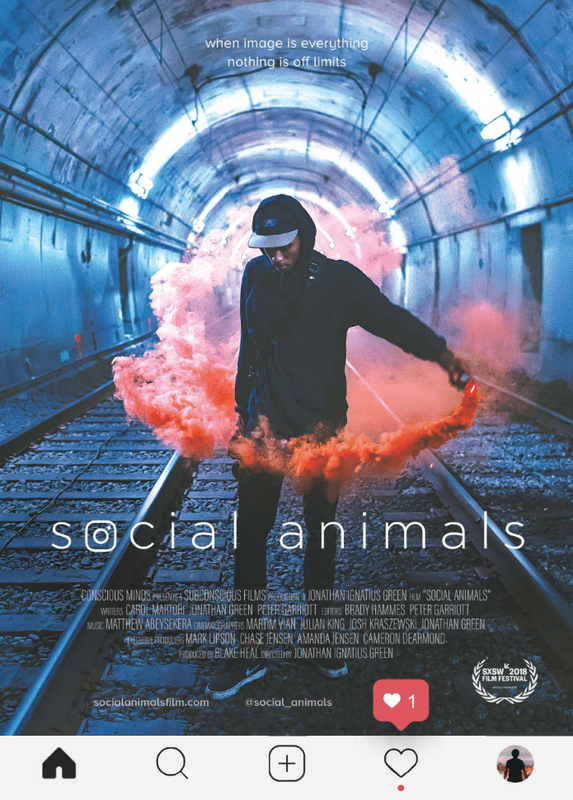 “Social Animals” expertly weaves together a compelling narrative, but more importantly, it allows everyone, no matter their age, to better comprehend the social pressures of today’s youth in a digital era. It also serves as an avenue for teens to relate and perhaps even find comfort in knowing that they are all in the same boat. While I long for the days where it was only one day of a popularity contest and hoping that I wouldn’t get any green carnations (indicating “You bug me”), times have changed and “Social Animals” creatively communicates these changes. Every parent, teacher, social worker and counselor would benefit from seeing this film. 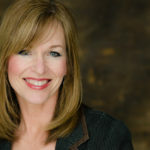 While I no longer have teens at home, the film did allow me to let go of the pressure I feel as I attempt to “master” using Instagram, Twitter, and Facebook. Don’t even get me started on SnapChat!